Take Advantage of Our House Purchase Fund! Sell House Fast – Our House Purchase Fund provides home owners and property developers with an even greater certainty of a guaranteed and speedy sale of property to release funds quickly. Sell House Fast – Our House Purchase Fund provides a guaranteed & easy way to sell a house fast. Simply call us with your property details, get a free instant online valuation and you could have the money from your house sale in your account just 7 days later, or in a timescale to suit you. We will make you a guaranteed offer to buy your house for up to 80% of its market value. You will have no legal fees or estate agency fees to pay as we simply buy your property and pay all your legal fees for you. If you accept our offer, our team of panel solicitors will manage the entire sale taking away the hassle, risk, delays, anxiety and associated costs of traditional sales. Selling your house could not be any easier. Consider the savings you can make by ending your liability for household bills, mortgage payments, council taxes and insurances. Sell House Fast = A quick cash sale would be free to move on with your life immediately and could actually save you money! Phone us now on 01244 757152 for your tailor made offer. There’s no obligation to proceed and nothing to lose knowing all your options. Any information submitted to National Residential is protected by The Data Protection Act 1998*. How do you value my property and make me an offer? When you first call us to enquire about our 7-day cash service, we will discuss your circumstances, take some details of your property and make you a provisional ball-park offer based on an initial desktop estimate of the value of your property. This offer will be up to 80% of the price we subsequently expect to resell your property for after we have purchased it. If you are happy with this estimate, we go to the next stage of booking an appointment for our in-house agent to meet you at the property. The purposes for this appointment is: (i) to carry out a property inspection to confirm the property’s condition and our initial valuation estimate, and (ii) to fully explain the process and answer any questions you have so you are happy to make a decision. At this appointment, we will make you a provisional offer. This provisional offer is subject to a final valuation confirmation carried out by an experienced valuer from the local estate agency and/or RICS survey that we instruct to resell your property on our behalf and at our expense. Following the conclusion of our valuation assessment we will provide you with a guaranteed cash offer. Should we offer you a lower price than the provisional offer we made over the phone, then you are under no obligation to accept it and can simply decline our offer and are free to go elsewhere – you have zero fees to pay. If you accept our guaranteed cash offer, you can have the money paid to your solicitor in 7-14 days, or a timescale to suit you. There are also ZERO agency fees and we pay £600 + VAT towards your legal costs. If you agree to our cash offer you have ZERO agency fees to pay and we pay £600 + VAT towards your legal fees. If you do not agree to our cash offer, you have absolutely no fees to pay whatsoever. How do I use the National Residential service? Call us on 01244 757152 (local rate, mobile friendly) or 0800 6123694 (Freephone) . One of our sales staff will be happy to help you immediately. Why should I sell through National Residential and not through a normal Estate Agent? It takes an average 200 days to sell and complete with a local estate agent and on completion you must pay all your legal fees and estate agents fees. If you chose our cash offer, you can have your money in as little as 7 days with ZERO fees to pay. Although you may receive 70-80% of the market value you could achieve through a local estate agent, you will be achieving a sale in just 7 days as you will be saving money on fees and bills. Will I get a good price for my house? We carry out a very transparent valuation process and will offer you between between 70-80% of the resale price as assessed by the head valuer of an established local estate agent. What makes you better than other property buying companies? Where do we start? There is no comparison! Firstly, we have been trading for over 10 years and we are registered with the Property Ombudsman and Trading Standards. We are also a founding member the National Association of Property Buyers. We strive to deliver the best possible service for our customers. All our procedures are transparent, compliant and we adhere to all best practices. Furthermore, if you ever did have cause for compliant, we have a robust internal complaints procedure and a personal complaints manager who will work to resolve your complaint to your satisfaction quickly – within 14 day timescales. You are also able to take your complaint to the Property Ombudsman should you feel it necessary. We also have long-held established relationships with all the best national and local estate agents. These are strong relationships we have built over a long period of time by continually delivering on our promises and by living up to our customer’s expectations. Therefore, you can likely speak to a respected local estate agents in your area for their impartial advice before making your decision whether to choose to work with ourselves. Finally, because we both buy and sell properties fast, we have vast experience in resolving all sorts of properties issues as quickly as possible. We offer sellers tailored solutions to suit your personal circumstances and to get you best price for your property. No matter what problem it is you need to solve; the price you need, and the timescale you wish to sell, we will have a solution for you. It is unlikely you will receive a more comprehensive and satisfactory service from any other property buying company. We can exchange on day one and complete within 7-14 days, or in a specific timescale to suit you. If you need cash immediately before completion takes place at a future date to suit you, we are also able to do this. We have to carry out necessary fraud prevention and money laundering checks to confirm we are dealing with the legal owners, but we do these in the quickest possible way using online service providers such as Experian as well as solicitors who are quick. Why should I use your recommended solicitors? The two most important reasons for sellers to use our panel solicitors are that they are very quick and we will pay you a £600 + VAT contribution towards your legal fees. To reduce the risk of fraud, we usually insist that sellers use our panel solicitors when we buy for cash. We may allow exceptions to this rule where sellers are obviously legitimate and where they prefer to use a local lawyer with whom they have had a relationship with for some time. However, where sellers use their own solicitors, they may be responsible for their own legal fees and we will have less control over the speed and timescales of completions. We use the UK’s leading conveyancing solicitors who are experienced in achieving super-fast completions and providing the best customer service. We are in the business of providing the highest possible service standards and achieving fast and certain completions for sellers. We therefore only recommend the best solicitors in the UK because they have proven time and time again that they can complete sales quickly. Our sales progression team provides the best service standards in our industry because we work with the same super-efficient solicitors all the time. This means solicitors know how quickly we work, therefore sellers benefit from a fast, free service and avoid stress of sales being delayed. 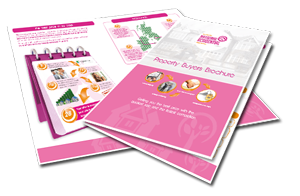 Click here to download our guide about National Residential's fast ways to sell your house options.